To many parents, sending their kids home with a trophy is the biggest reward from participating in academic competitions. They want to be able to praise their kids and see those beaming smiles on their faces. However, the growing research in this field seems to say that simply showering them with praise and what has become known as the "everyone gets a trophy" fad could actually hurt your kid's future more than help it. 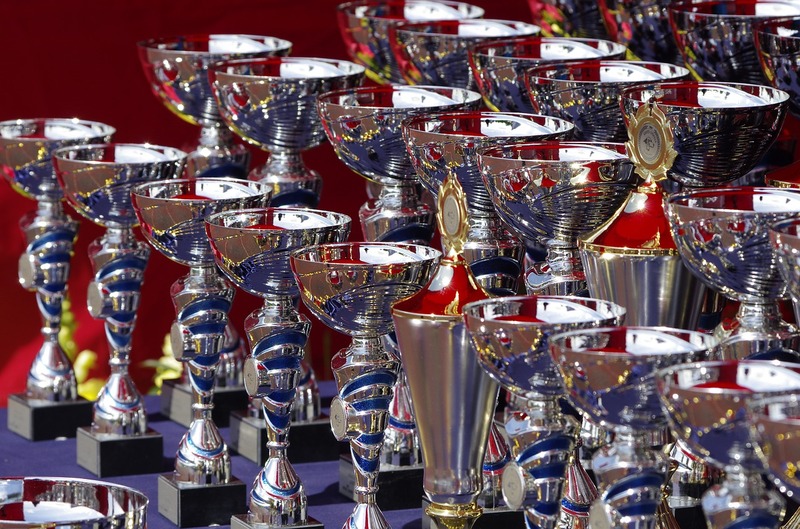 It is important to recognize the work and effort that all kids put into something; however, at the same time, participation trophies can set a dangerous precedent. They can teach kids that no matter how well they did relative to their peers, they deserve the same amount of recognition. ”…if parents thought failure was debilitating, their kids adopted that perspective. If parents believed overcoming failure and mistakes made you stronger, then their children believed it, too." We learn the most from our failures and mistakes, making how we did something more important than what we did. While those who lose a competition may not get a shiny new trophy to hold and the adulation of peers, they can still come out of a competition a winner. It all depends on how educators/parents/coaches respond when a student loses. Studies have shown that when we take a loss as an opportunity to learn from mistakes, kids are more willing to keep trying. Rather than focus on the outcome, focus on the hard work that was involved. However, in doing so, you have to be sure they don’t focus on how that work resulted in an undesirable outcome. Parents and educators alike need to be on the same page about this. If parents get angry at their child's teacher because they didn't come home with a trophy, and the parent continues to shower praise on their child for trying, it could very well undermine the work of the teacher trying to help their students learn from the challenge of not-winning, and vice-versa. Parents and educators alike have to help students focus on the talents and skills that they did display and on how they can improve upon them to perform better in the next competition. Make sure they understand that their talents and skills can, in fact, evolve. "There is a fair amount of evidence showing that when children view their abilities as more malleable and something they can change over time, then they deal with obstacles in a more constructive way," Gail Heyman, a professor of psychology at the University of California at San Diego, stated in a 2016 article posted on NPR.com. There is good that can be found whenever a student loses an academic competition. The hard part is getting them not to focus on the outcome. Help them see the value of the journey and the process that brought them to the point they felt ready to compete. But also let them know that the journey does not have to end with the competition. They can take that experience, learn from it, grow, and come back next year or in the next competition and try again. When a student loses a competition he or she is bound to be upset. It is only natural to try to console them and try to make the feel better—and that’s fine. However, how we often go about it can prove to be detrimental. If we act as if losing is the worst thing that could possible happen, they will react the same way. At the same time, if we act like losing is just another challenge they can overcome, so will they. It’s good for students to learn that they are not always going to win. But on the occasion that they do not, the world is not going to end, and no one is going to think less of them or care for them any less. Another common tactic that parents especially fall in to is to try and deflect; we want to tell our kids something like, “But you’re really good at math” to soften the blow of not winning the debate tournament. While the intent of the message is to point out a strength, what it accomplishes is something else. Rather than provide encouragement, it tells that they are not good enough at their attempted task, you risk teaching them that they can’t get better if they work hard. "The takeaway is that when your child is struggling on something or has setbacks, don't focus on their abilities, focus on what they can learn from it." To do so, you can ask them one simple question: "How can you use this as a jumping-off point?" Winning is great. It’s what we all want to do. But the journey itself can be of even much more value. We just can’t let them get hung up on winning or not winning so much that they lose sight of that.